Manchester United believe they can hijack Real Madrid move for Eden Hazard by offering a British transfer record bid of £90million. 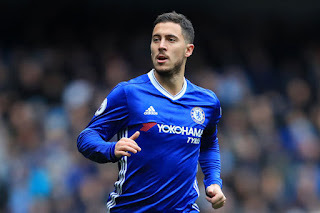 Eden Hazard still has two-and-a-half years left on his deal at Stamford Bridge but earlier this he rejected Chelsea's last offer of a close to £300,000-a-week and the club fears he might leave later in the summer. 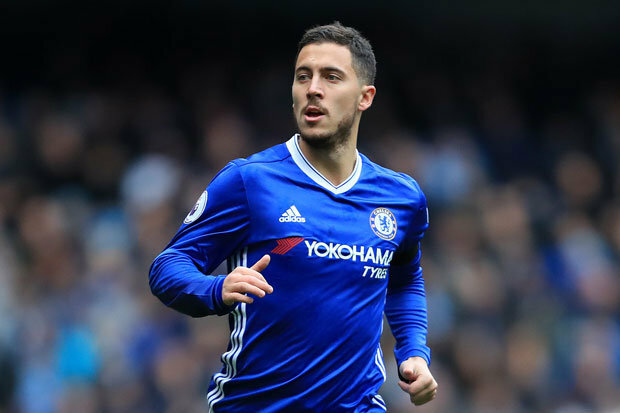 Months ago, Zinedine Zidane made know his secret admiration for the Belgium winger but United are said to be confident of rivaling the La Liga side for Hazard by offering a £90m, according to the Sun. Manchester United broke the world transfer record to sign Paul Pogba in a £89m deal in 2016, though Neymar's move to Paris Saint-Germain last summer has relegated the Frenchman's move to a British transfer record. However, Chelsea wants to keep Hazard and they're willing to make him the best-paid player in the club's history. Should Hazard push to leave later, they would rather sell him abroad than to a Premier League rival.